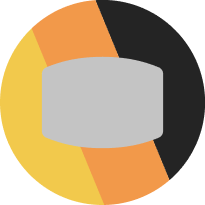 It was the result no one saw coming, and in retrospect, shook up the whole 2018 finals series. Last September, an out-of-form St George Illawarra Dragons side flew up to Brisbane with next to no chance of beating the Brisbane Broncos at Suncorp Stadium. After starting last season strongly, the Dragons crumbled in the second half of the year to finish seventh on the ladder, but it was enough for them to qualify for their second finals series since 2011. Despite having beaten the Broncos 34-12 in the season opener at Kogarah Oval, Paul McGregor’s side went in as underdogs – as they will this Thursday night – having not won in the sunshine capital since April 2009. That said win over the Broncos five months beforehand was also just their third against them since then. But what transpired on that sunny Sunday afternoon at Suncorp, no one could have anticipated. 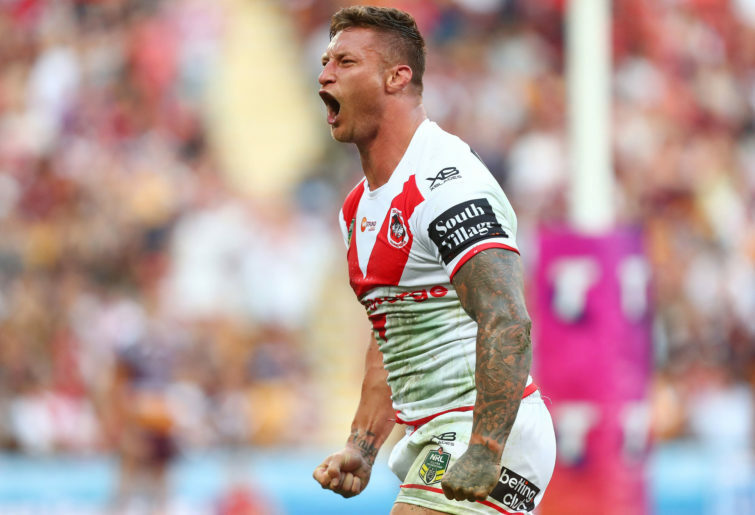 Thanks to a hat-trick of tries from Tariq Sims, whose brother Korbin will join him in the Red V for the first time, the Dragons displayed the same intensity they’d shown consistently in the first half of the season to shoot out to a 28-10 halftime lead. And despite suffering injuries to key players Jack de Belin, James Graham and Gareth Widdop during the match, they would press on in the second half to record a stunning 48-18 win, marking their first win in a finals match since winning the 2010 premiership. 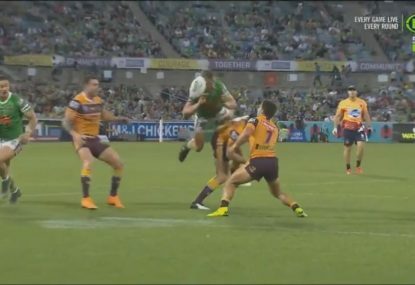 While the result sent the Dragons through to a do-or-die semi-final against the Rabbitohs, which they would lose 13-12, it brought to an end another season of disappointment for the Broncos, and extended their premiership drought to twelve seasons. It also saw an end to the playing career of Sam Thaiday, who now serves as a commentator. The result also brought about some relief for the Bunnies, and to an extent, the Roosters, who had both lost to the Broncos twice during the regular season. Because had the Broncos won, they would’ve almost certainly started favourites in their subsequent finals against the Rabbitohs and Roosters en route to an eighth grand final, where the Melbourne Storm would’ve awaited. It would’ve been a rematch of the 2006 decider, which the Broncos won 15-8 against a side that nobody knew at the time had been illegally assembled. 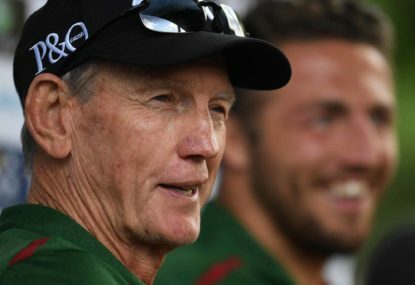 In the weeks following the end of the season, a stunning turn of events would see super coach Wayne Bennett dismissed from his post at Red Hill, to be replaced by rookie Rabbitohs coach Anthony Seibold, who’d taken them to the preliminary final. Bennett would head in the reverse direction, thus seeing one of the game’s foundation clubs matched with the game’s greatest coach. His move to Redfern has already worked wonders, with the Bunnies defeating the Roosters and Dragons in the opening two rounds to be among the pacesetters so far in 2019. Their first win of the season came thanks to a blockbuster performance from prop forward Tevita Pangai Junior, who many believe is being considered as a strong chance to make his State of Origin debut for New South Wales this year. 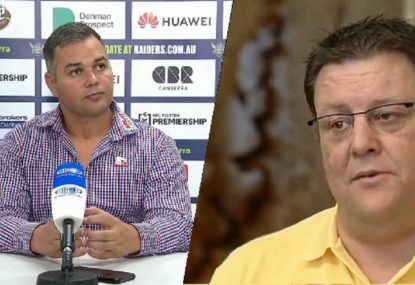 Only two days after the win over the Cowboys, Seibold put his side through a torturous training session in 35-degree heat in preparation for Thursday night’s home clash against the Dragons. Undoubtedly, revenge will be on the players’ minds after having had their 2018 season unexpectedly ended in humiliation by a side that they’d only lost to three times since August 2009. Meantime, the Dragons have dropped their first two matches of a season for the first time since 2016 and a third straight loss would mark their worst start to a season since 2013. Questions have been asked as to why coach Paul McGregor has decided to persist with a spine that sees Gareth Widdop, Corey Norman and Ben Hunt line up at fullback, five-eighth and halfback respectively, while leaving specialist fullback Matt Dufty on the bench. Not only that, but they are also without Jack de Belin (indefinite suspension) and Tyson Frizell, who suffered a sickening groin injury in the Round 1 defeat by the Cowboys in Townsville. Still, they put up a decent first half effort against the Rabbitohs at home before failing to turn up for the second half, going down 34-18. McGregor said that his side failed to show the same intensity for the whole match and another sub-standard performance in Brisbane could see the impatience among their fans continue to grow, especially with a tough trip to Newcastle to follow before they return home for a Round 5 showdown against bogey team the Bulldogs, to whom they lost 38-0 late last season. It is therefore possible that the Dragons could be 0-5 after as many rounds, and it would set them a long way back up the ladder. In good news for the club, however, recruit Korbin Sims will be eligible to make his debut for the club after having completed his two-match suspension for a dangerous tackle incurred during last year’s finals series. 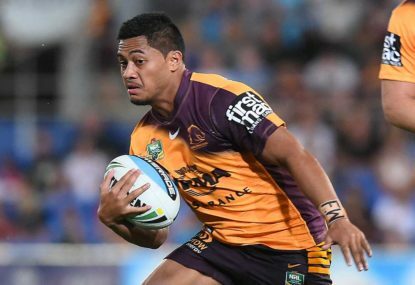 In a twist of fate, his last match for the Broncos was against the Dragons in that said elimination final last September, and his first match for the Dragons will be against the Broncos at the very same venue, Suncorp Stadium, this Thursday night. 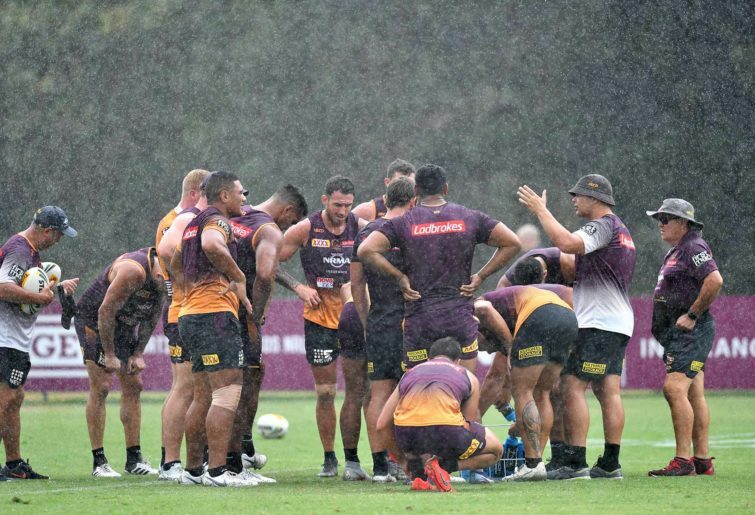 But it will take more than just a team effort from both Sims brothers, as well as their misfiring spine if the Dragons are to repeat their stunning upset win over the Broncos in front of what is expected to be an unforgiving pro-Brisbane crowd to start round three of the NRL.